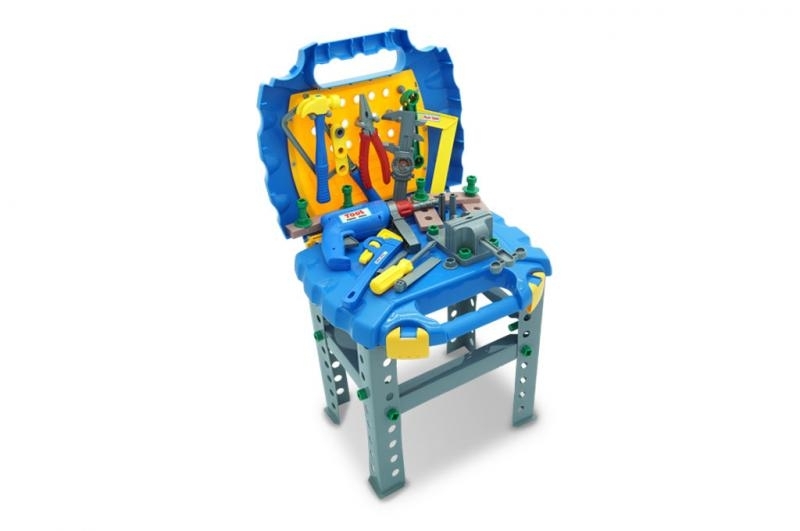 Kids of age three and above will enjoy practicing their building skills with the Tool Bench. 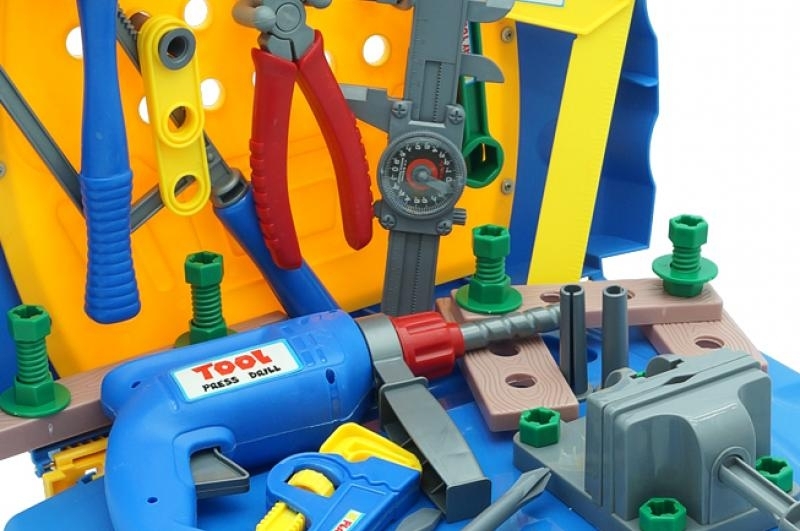 With loads of pretend tools and accessories, the workshop offers plenty of ways for aspiring builders to craft new creations. 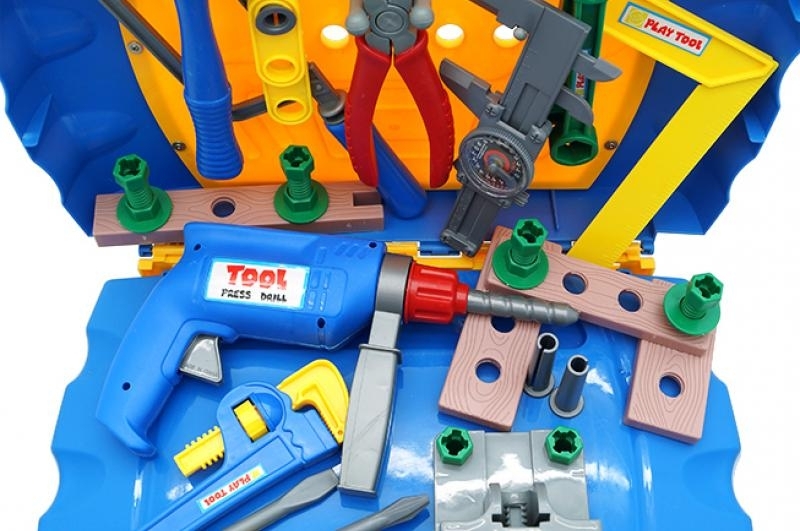 The power tools, including the working drill and spinning miter saw, screwdriver and many other tools that will make kids feel like they are in a real workshop. 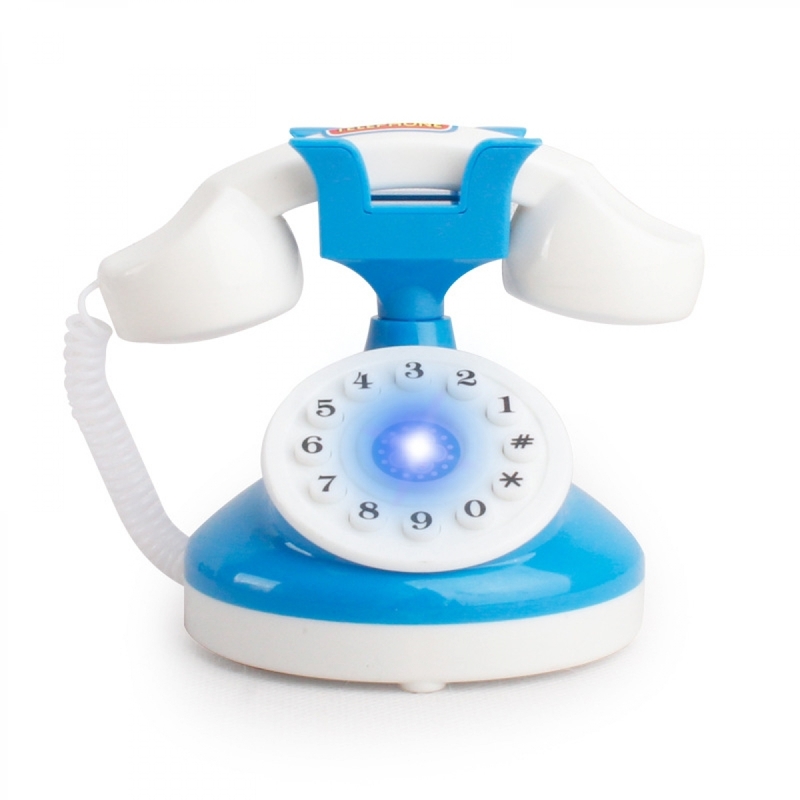 Pretend play, imagination, and manipulative skills.